The Calvo group is a company with Spanish capital dedicated to the fishing, production and marketing of high quality fish preserves. Through its various activities, the Calvo Group operates on five continents and employs more than 3,000 people. The vertical integration of all the links of the value chain is the attribute that defines the Calvo Group in a permanent and clear manner, with the sole objective of satisfying a greater number of consumers every day. 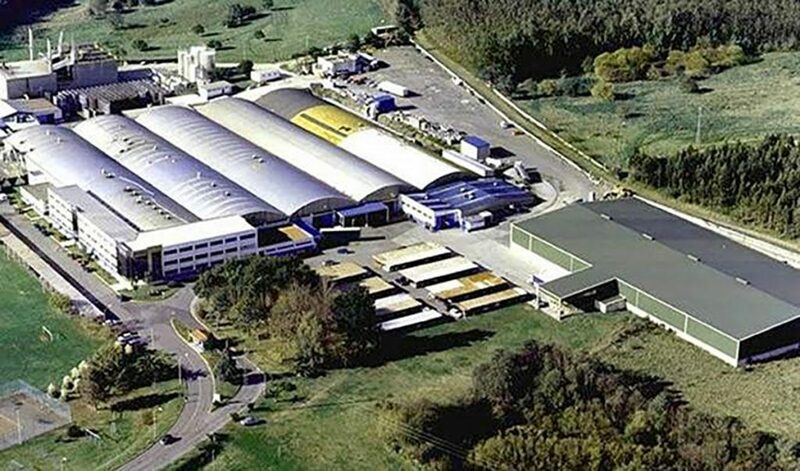 Among the companies of the group, the manufacturing activity is assumed by Calvo Conservas, manufacturer of canned tuna with a plant in Carballo (A Coruña, Spain) -with 17,600 m2 of constructed area, productive capacity of 37,000 t and a staff of 550 workers- and Conserveira de Esteiro, manufacturer of canned specialties with a plant in Esteiro-Muros (A Coruña) of 7,500 m2, industrial capacity for 22,000 t and 300 employees. Calvo Conservas develops the CES project through which it will transfer the concept of Factory of the Future 4.0 to its plant in Carballo (Galicia) to gain efficiency. Industry 4.0 is slowly reaching all Spanish companies, changing their business models as conceived years ago. Innovation has become one of the fundamental tools for companies when it comes to gaining competitiveness. In this context, the Calvo Group has become one of the best examples of how digital transformation will reach all types of businesses, even the most traditional. Hours and hours inside the factory separating the parts of each fish, with a net covering the head and the same uniform covered by an apron. That was the situation of workers in a canning plant some years ago. However, the demands of competing in an increasingly large and globalized market have forced the Calvo Group to reinvent itself and launch a strategic plan, the Calvo Excellence System, which contemplates an investment of 25 million euros in four years. Its objective is to achieve more flexible, efficient and smarter processes. This project consists of the total automation of the processes, the robotization of certain operations and the real-time control of the machines to allow any deviations to be corrected. Drafting of project documentation, including work plan. Management and coordination of the work team. Improvement of Flexibility, Efficiency and Quality in the canning sector through a new Industry 4.0 productive model, Calvo Excellence System (CES).